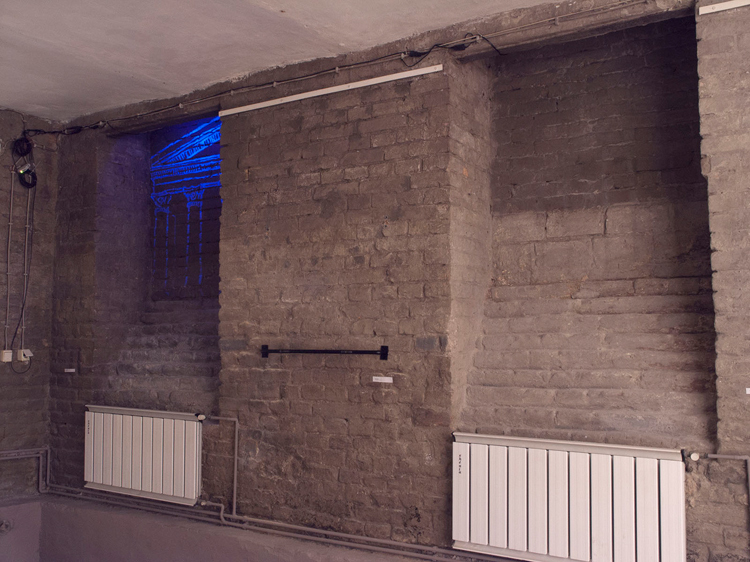 In the beginning of 2013 I made a site-specific installation. 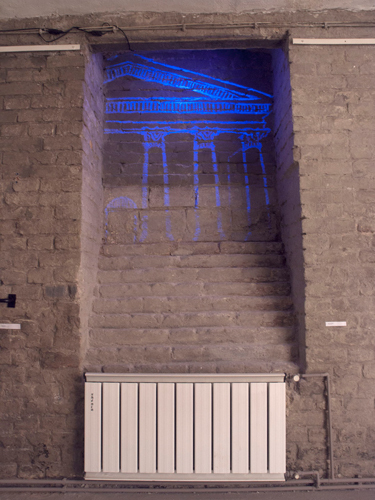 I drew with UV-painting into two adjacent niches, two drawings of the left and right sides of the entrance of the Műcsarnok (Kunsthalle, Budapest). 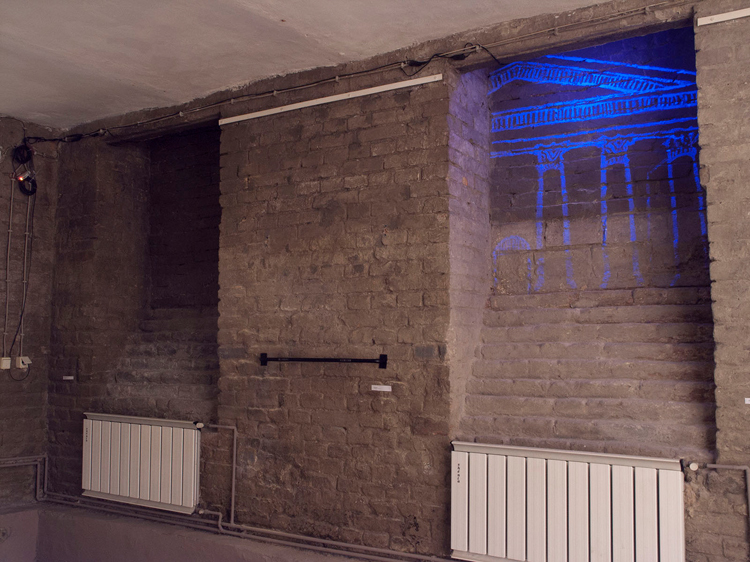 The lighting was controlled by electronics, so only one of the drawings was to be seen at a given moment. 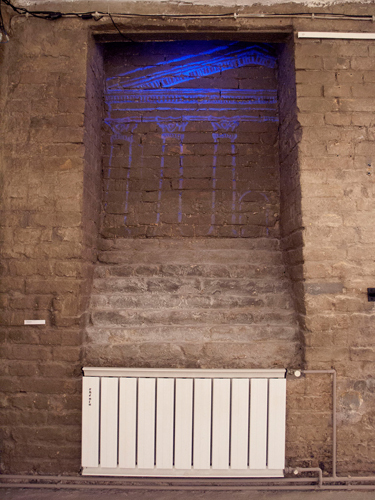 Without the UV-light only the gallery walls were visible.